*The music industry has lost another legend and pioneer. 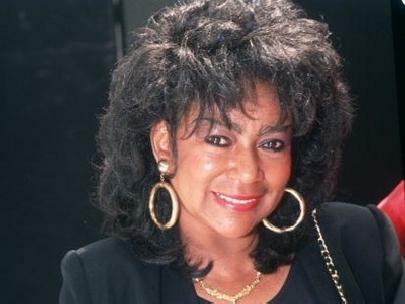 Singer, songwriter and producer Sylvia Robinson died early Thursday morning in a New Jersey hospital of congestive heart failure. She was 75. “Love Is Strange,” a number 1 R&B hit in 1956 was recorded with Mickey Baker, whom she sang with as part of the duo Mickey & Sylvia. “Pillow Talk,” her solo hit from 1973 was recorded under the name of Sylvia. Behind the scenes is where Robinson made her biggest impact. She was known as “the mother of hip-hop” after her decision to record the then new art form known as rapping, which had developed at clubs and dance parties in New York City in the 1970s. Dealing with serious money problems, she got an inspiration when she heard people rapping over the instrumental breaks in disco songs at a party in Harlem. Using her son as a talent scout, she found three young rappers from the New York City area – Big Bank Hank, Wonder Mike and Master Gee – and persuaded them to record improvised raps as the Sugar Hill Gang over a rhythm track adapted from Chic’s “Good Times.” The record was called “Rapper’s Delight” and reached No. 4 on the R&B charts, proving rap was a viable art form and opening the gates for other hip-hop artists. According to reports, before her passing this morning, Ms. Robinson had been ill for several months at Meadowlands Hospital in Secaucus, New Jersey. Oh my, here we go again. Rest in Peace Sylvia. You were a trailblazer and we’ll never forget that. EUR obituary list keeps growing, a little bit of history for me, I had no idea Sylvia got the ball rolling with rap music, it was worth listening to back then. Condolences to the family, RIP Sylvia.